Many companies from the timber industry chose reduction, as a method to survive. In a highly competitive market, this may have been the right solution for them. However, Jagram-Pro S.A. chose a different path. We believe that by providing customers with high quality products, co-creating new, modern and interesting design, we are working towards a mutual result. We’re creating a new approach towards business. At Jagram-Pro S.A. the process of implementing this mission begins at the stage of selecting a wood supplier. Its selection and drying. By choosing the high quality of our products, we also choose proven wood suppliers. This is why, for many years, we have been cooperating with companies that know and understand our expectations and are a part of the vision we implement. We believe it is quality, and not price, that enables building competitive leverage. Products offered in our shop, as well as those made by special request, are executed using TCLwood618® technology which guarantees terrace roofing, wooden canopy, carport, terrace enclosure and terrace roofing. All timber arches are made from structural timber, using TCLwood618® technology from thin lamellae. The TCLwood618® technology is a process based mainly on the quality of the raw material, as well as end products. It creates opportunities for new design but it is very demanding. It concentrates on the execution of added value for a customer, understanding the idea and presenting the best solution. Bent laminated timber are structures in a new appearance. higher diversity of wood defects arrangement, thus, a greater strength of finished elements. Guaranteed high quality, confirmed by audits from numerous manufacturing certification bodies. 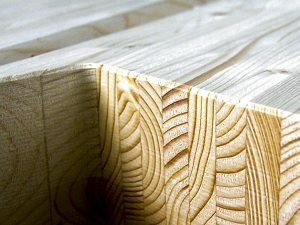 TCLwood618® (thin construction lamella for wooden constructions) means unique technology used to manufacture a structural element. The technology ensures the use of thin structural lamellae, 6 mm to 18 mm thick, which provide the possibility of bending at a minimal radii. At Jagram-Pro S.A. they are already 15 cm. This guarantees that the product was manufactured as per the highest standards, with particular emphasis on quality and safe utilisation. 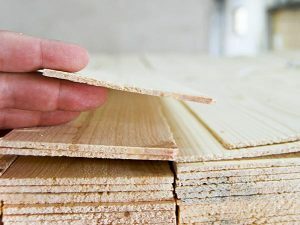 acceptable thicker adhesive-bonded joint, thus, less smooth timber adhesion surface (it enables saving timber in the lamellae preparation phase).